If the genie in the bottle were a spirit, it could live in one of these 50 cl bottles, which seem to come straight from an old alchemist. It's a vatted (or blended) malt from different Islay malts, bottled at full proof (cask strength). The different distilleries involved are undisclosed, but I believe I spot some hint of Caol ila 12 in there. The result is subtle enough, in an Islay way : it achieves a good balance between the profiles of the different whiskies of the island. And when you have strong characters such as Laphroaig or Ardbeg, this is quite an exploit. The taste is definitely peaty - hey, it's written on the bottle after all ! -, but in a complex and interesting way. There is peat, there is smoke, but not so much tar or strong ashes. 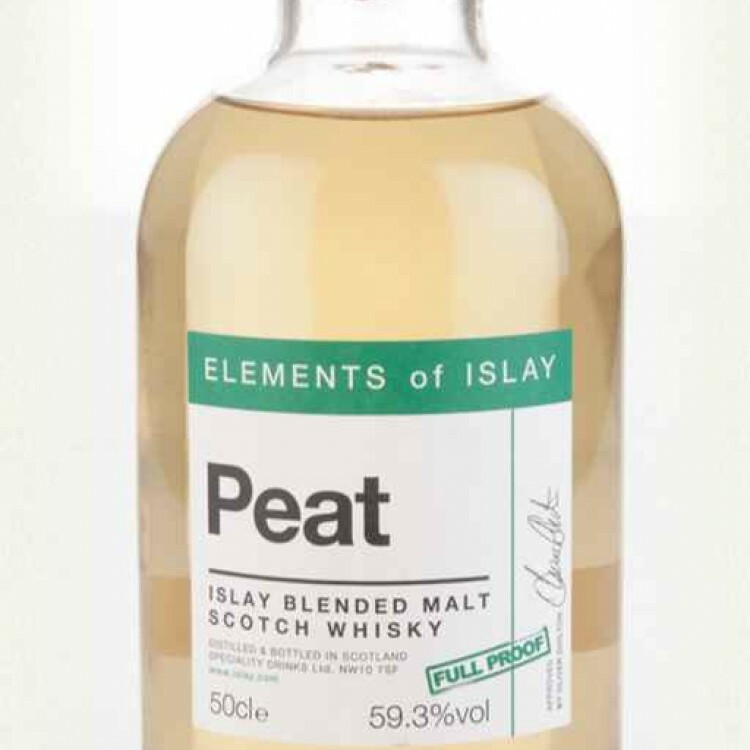 It's peat mixed with some fruits and very light spices. Sounds like I'd enjoy it but I 'm not a fan of those 50cl bottles. I'll buy fancy gins @50cl for my better half but don't want to be encouraging such shenanigans in whisk(e)y! @RianC - Just to add: Looking on MoM it's about £35 and cask strength, so I suppose that's not too bad for 50 ml. Still though . . .
@RianC, I am guessing that you don't like 50 cl bottles because you have the sneaking suspicion that they are ploys to creep up prices to near 70 cl prices while delivering much smaller volume of the beverage. That is understandable, when true. I think that most people on Connosr would love the opportunity to sample whiskies from smaller size bottles, 200 ml, 375 ml, or 500 ml bottles, BUT, not only are those bottles sizes seldom available for sale, in addition the cost per unit whisky is jacked up enormously for the smaller size bottles. People want the 700/750 ml price per unit volume while simultaneously having the opportunity to buy lesser quantities. I wish this were possible too, but I can see that packaging costs are increased and economies of scale are much reduced when the volume of packing materials per unit of whisky volume increases greatly. Do I think that the smaller size bottles are proportionately more expensive (viz. a higher profit margin for the spirits companies) than are 70/75 cl bottles? Yes, I do. But I also think that in any case they would have to be priced higher per unit volume than the larger bottles to reflect even the same profit margin for the spirits companies. @Victor, indeed. Of all the expenses that our price paid "covers" from the barley field to the retail shelf, that little volume of liquid is only part. Even presuming that the profit margin is the same on a big bottle v. a small bottle, I don't think we should expect much of a price reduction to match volume reduction. C'est la vie. Very true, Gents! My worry is as @Victor outlines rather than simply having to pay more for smaller bottles per se. That Boutiquey Whisky Co. do some cracking whiskies but all bottles are at 500 ml. There's no need for that and they aren't exactly cheap! Indeed the boutique whisky and éléments lines are all 500ml bottles. 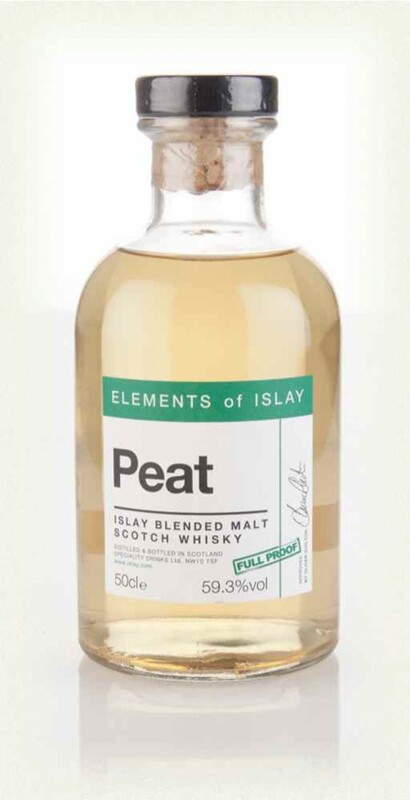 I think most of the elements line are fairly priced and this "peat" blended malt is about par for the course even if you were to scale it up to 700ml bottles. As for the boutiquey whisky I think it's one way to get a bigger out turn but perhaps also to reduce some of the sticker shock also. I am surprised at times at the type of whisky available in that line. Old Bowmores and Macallans for example. @WhisQueer, excellent review and welcome to Connosr. It's nice to have reviews of some of these more obscure blends, it helps other members when making decisions or just creating FOMO. @cricklewood - I had the pleasure of sampling some TBWCo offerings at a festival last year. The stand out was a 42 yo single grain Invergordon. Sublime! As much as I liked it I won't be paying £100+ for a smaller bottle - that's just me though and due to budget constraints also. I've bought some Pineapple, Festive and Lunar gins (the latter sent the botanicals into the upper atmosphere before steeping!) from that company and they have all been excellent and very well received - so no doubting the quality.